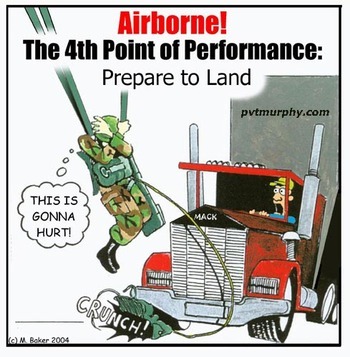 Posted on July 20, 2017, in WWII and tagged 1940's, Air Force, Army, History, Jimmy Stewart, Military, Military History, Pacific War, veterans, WW2, WWII. Bookmark the permalink. 244 Comments. Looks like I’ll be ordering another book via Amazon…. Exactly and back then the men didn’t feel they should impose their pain on their loved ones. It might make them look weak or any other number of reasons. I thank you for sharing this story. Thank you for sharing this wonderful man’s story. So many loved him, but so few knew it all!! I vividly remember the movie “To Hell and Back” from my childhood. Quite an actor, wasn’t he?! He had a lot of personal material to draw from for his roles. I was inspired by your post to read further on Stewart’s military service. An amazing individual! Has a movie ever been made about his life in the military? I’m very glad you continued to look into his life, because NO, no movie has been made of his life. There appears to be a museum for him, but revolves around his movies. Thank you very much. He should be a role model for many generations to come!! This is an excellent piece of history. 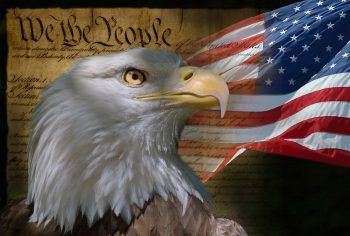 I knew a little about Mr. Stewart and him being in the Air Force Reserve but this article tough me a lot of things that I did not know. Thank you Sir for taking of your time to post this article, I appreciate it. I am going to reblog this article for you. I am very happy to hear that you can see the value of telling and re-telling these stories. Thank you. I am just catching up with you, GP. 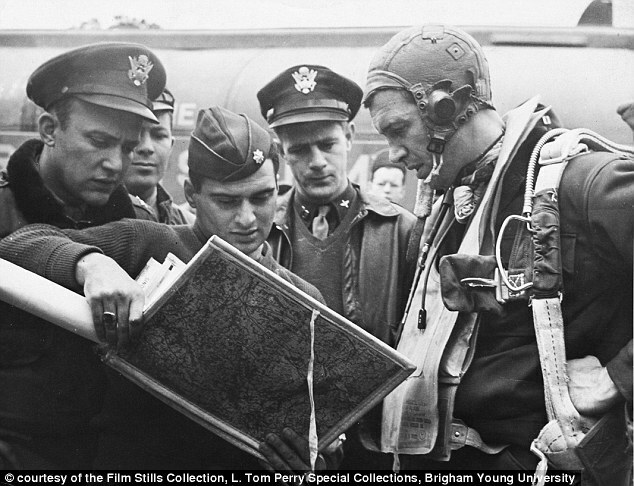 I never knew Jimmy Stewart’s history, and it is poignant and fascinating. For such a well-loved man, it appears many never knew his life. I was born in 1961. 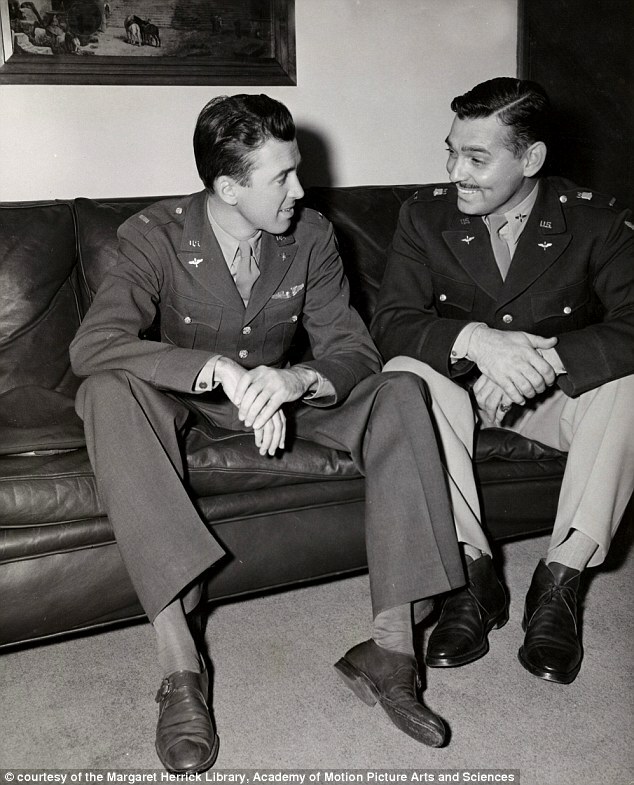 Two of the people I would have loved to have met would have been Jimmy Stewart and Audie Murphy. I am forever sorry that I did not get an opportunity to actually speak with either of them. Maybe in heaven someday. I’m sure someone as nice as you will be granted her wish. What a sweet thing to say. Thank you for your posts to help people remember some of the truly wonderful people that have graced our planet. Not only my pleasure, but how I actually feel. I think it is so important to realize that not all people put their emotions out on their sleeve for everyone to see. For those who attempt to keep their feelings deeply personal, many think they have a ‘perfect life’ or do not have any demons to deal with. The people we admire should not necessarily be the ones who bare their souls to the world, but those who go through life with posture and grace. That is what is missing in life today, people who want to live standing tall and graceful in all their actions. The latest generations are showing me that they are simply ‘out for themselves.’ They wouldn’t know what ‘standing tall’ or grace and respect have in day to day life. It’s an epidemic of Gimme Disease – gimme this and gimme that! Sorry to vent like that with you, but it gets so frustrating! Don’t apologize for venting. You are absolutely correct. Kids today think they should have a new car before they get out of high school and when they marry they think they should have a brand new house filled with new furniture and start making ‘good’ money right out of the chute. All of this ‘reality’ crap they see on TV with the whole world griping because they have a hang nail frustrates me as well. Those things are not reality. Life is the reality. I suppose that is what breaks my heart the most when I look at a picture of someone like Jimmy Stewart. It was a different mindset. And unfortunately, it is lost. I find it strange that he suffered so badly from PTSD and felt so guilty about bombing raids and yet continued to do the same thing… does that not seem strange to you? Slightly off topic, I’ve seen your comments on various other blogs I’ve read and have popped along occasionally to read your posts and shall continue to do so, but am not really into much wartime accounts as I find it too emotionally draining. My father was in the R.A.M.C and I am forever grateful that he was never posted abroad. I talked to him a few times about his time in the army in those days but he was always very guarded which doesn’t surprise me. Not only was it Stewart’s duty to continue on, but what if someone with no conscience took his place? That generation felt they had to keep going, they had been working on survival all their lives. I can not imagine all your father saw in the RAMC, I can well imagine why he was so guarded. He certainly wasn’t about to tell his daughter who he had vowed to protect. I can understand why you don’t follow each post, but I feel that history has become a forgotten subject in our school systems and don’t want this generation to fade into the sunset not remembered. I agree that the history of it should be remembered (and taught in schools). I hope our parents generation don’t fade from memory, too. I knew a little about him in WW2 but I didn’t know he continued to serve including Vietnam. Great post. Not surprising when you remember what a humble man he was. I’m glad so many who remember him as a great actor now know what a patriot he was! I didn’t know that one of my heroes fought against PTSD. You must admire him even more now that you know how hard it was for him. I can see your point, but it’s at what cost? For such a quiet, down-to-earth guy, everyone seems to find him spectacular! [and deservedly so!!] I keep saying – the perfect role model!! There are a lot of stories to be remembered, Beari, I quite agree. I’ve read about Morrison from all sides and have yet to discover why he didn’t serve. So many in Hollywood were also ‘put off’ by his continual delay in enlisting. I suppose he will always remain a man of fantasy. Thank you for this great post. I knew that Jimmy Stewart served, but I did not know these details of his PTSD. I love him even more now. I’m very glad the article bolstered Stewart in your eyes – he was a great guy!! I’ll just add my thanks with those others who learned something about this great actor , making him a more interesting and admirable person . And i will add my thanks to you for reading Stewart’s story – one of my all-time favorite people!! Absolutely fascinating – I never realised that. He was one of everyone’s favourite actors and I think ‘Wonderful Life’ has to be one of everyone’s favourite films. Credit to Stewart, and other actors – like Clark Gable – who joined up. David Niven got some criticism for leaving Hollywood and coming home to fight and I believe reserved some particular ire for those that did not. 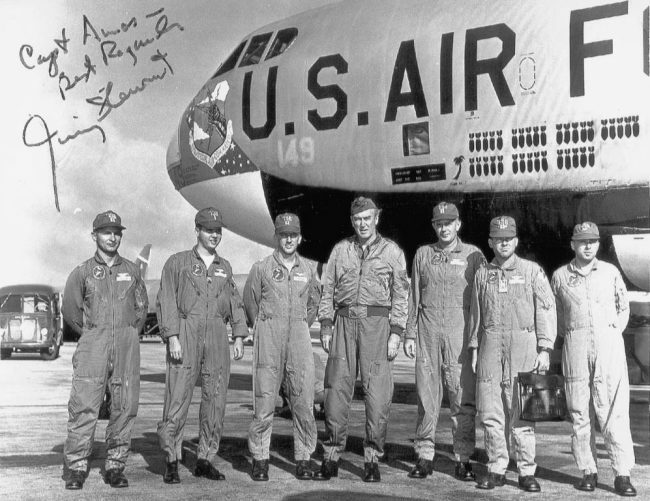 I have read that Jimmy Stewart visited the Nivens when he was stationed here – once you guys decided to join in :-). Great post! Well, it took a while for FDR to provoke Japan enough to retaliate – Hitler wasn’t taking the bait. But we finally got there – too many are still there. A man of great character and integrity. I just watched Firecreek (1968 Western) with Henry Fonda. He doesn’t smile much in there. Many of his film characters ater the war were not ‘light’ – rather grim. Everybody thought he was acting of course. But who can go through any War and not be terribly affected? Today we have many treatments to help people afflicted from such events. But in his day this wasn’t so. He definitely drew his inspiration from the war-time experiences, but his acting was superb as well. IMO Back in his day a man was considered weak by most if he couldn’t find a way to deal with it himself. Extraordinary! I knew of Jimmy’s military service, but not the dark side. Stewart is one of my film heroes–one and off-screen. I can’t imagine anyone who didn’t consider him a favorite. Such a good man – on and off camera. Thanks for reading, Mitch. I found this post fascinating. I have long been a Jimmy Stewart fan, but never knew he suffered from PTSD. 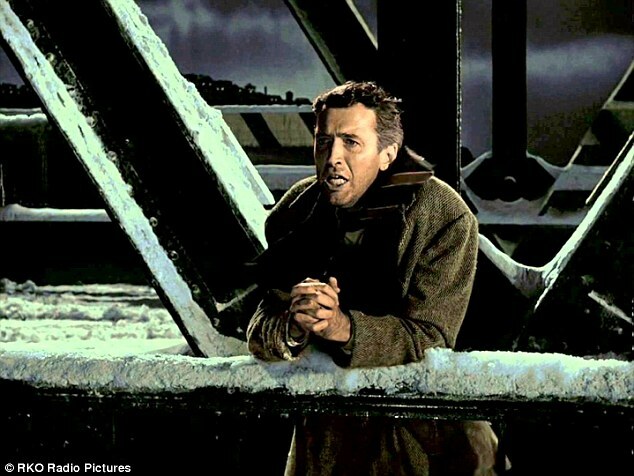 Knowing that now makes George Bailey’s anguish all that more realistic, doesn’t it?!! Intelligence isn’t what it is today. So many could have been saved if had been. Thank you for visiting, Maria. Thank you, the man deserves it!! Thank you for sharing this about an actor I have long admired but knew not much about, until now. My pleasure. I’m simply pleased you found it interesting and admire Stewart as much as I. He would make a great role model for most!! As a character in one of your books, he probably wouldn’t appear to be real. He was one of a kind! You are absolutely correct. He is and was one of a kind. It makes me sad. If there was some one out there like him, maybe he would be President and people would start to emulate: honorable behavior, goodness of spirit, and ethical reasoning that was the person Jimmy Stewart was in real life. So true, Karen, but he was modest too – so I’d bet if asked to run for president, he would not feel qualified for the job. We’ve needed one like that for a very loooong time!! 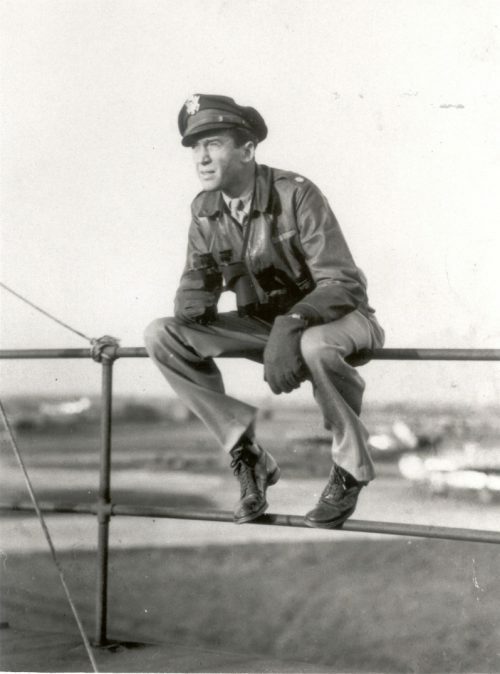 This post is an extraordinary account of Jimmy Stewart and his military service. Thank you for reading the and sharing the incredible story of a great man!! This is an astonishing post. I’ve always admired Jimmy Stewart, and his films have been favorites since childhood, but I never knew any of this. In fact, I never stopped to wonder about him as a person. I suppose that even if I had, his own reticence would have kept much of this hidden. His story is a good reminder that we never know what struggles the people around us are enduring. I’d like to this it would be easier for him, had he lived today. On the other hand, it might have been more difficult, given the complexities of the military bureaucracy and the insensitivity of society in general to the needs of veterans. In any event, it’s a fascinating story, and I’m glad you shared it here. Thank you so much, Linda. I’m very happy you found it so interesting – he really was a great man! I never knew that he suffered so much after the War. I loved Jimmy Stewart, he was very much loved here in England and I don’t think many missed seeing him when he would come over and appear on BBC TV on “The Michael Parkinson Show” and Jimmy Stewart would have us in laughter and tears with his stories. He would also visit the Base in Norfolk, where he flew from during the War. I know that every evening in Beverly Hills Jimmy Stewart and his Wife with their Dog would go for a walk, just an ordinary thoroughly decent man, if only there were more like him. I would love to buy that book on him. Great blog, shall reblog you. Stewart is a man whose story deserves telling and retelling! I’ve yet to find a more decent man than he. You are so right, he was every inch a Gentleman and as I said previously you never heard a bad word about him here. Of all the guests on the Parkinson programme it is said that Jimmy Stewart was the most popular. I have just ordered that book on him, he was a very Honourable and brave man, pity there are not more like him. You show the bravery of all the people you mention, and they deserve it too. Thank you for the wonderful expression of feelings for Stewart in your country and your own personal thoughts – much appreciated. Jimmy is a personal favourite of mine from that era. The everyman of that generation. I too have taken an interest in his military career. No doubt they touch upon the letter his father gave him as he left for war. He saw more combat than any other star of his time (many young men who fought in that war went on to become stars but those already established at the time nobody risked more). It’s A Wonderful Life is timeless. It spoke to me a great deal as young man in his 20s engaged and frustrated by a new setback in his career and travel aspirations. It speaks to everyone who is truly paying attention. But there is something in the post war reflections of Capra and Stewart that made it just that more special. What a magnificent tribute you’ve added, Lloyd! It looks like you should have written this article!! Thank you very much for taking the time to include your thoughts! Oh no, it’s perfect just the way it is and includes things I’ve heard hinted about but never mentioned so openly. 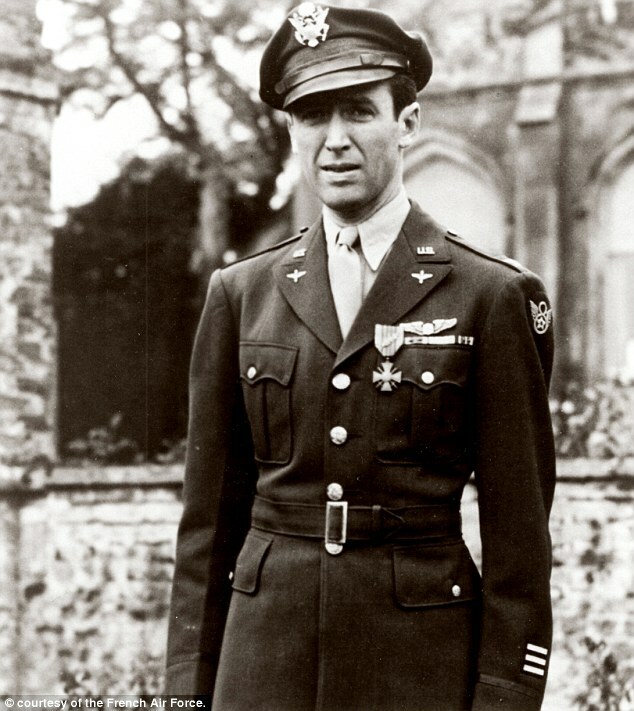 James Stewart was always much admired as an actor but not much is known of the actor who served with distinction in WWII. This post by GP Cox explains why. It’s well worth taking a few moments to read. I thank you very much for the fine introduction you made for this post. I hope your readers enjoy it as much as mine did! He was always much admired and your post amplifies why. Thank you. I was surprised so many people didn’t know that his story went beyond the silver screen. Most people my age, in Australia, would have known that he had been a pilot, but your story certainly adds detail. Thanks GP. I thought more people would know this story. I am not shocked anymore as to how little of our history is taught around here! It’s downright sad. Another wonderful piece! Thank you! My pleasure. I thank you for reading it. I knew none of this history. I grew up on Jimmy Stewart and he was well loved. I guess I was too young to even wonder if there was another side to him than the actor. Too bad we don’t have more like him around now! I agree, GP. Amazing heroism combined with compassion. Thank you for reading this article, Lynn. He was a very good man. He is very famous in Japan!! I am quite thrilled to hear that, thank you very much for telling me! He was a man of character who tried to be kind to all; plus a sense of humor! Men like that don’t come around too often – especially successful ones. Isn’t it great?!! Even today people are interested in that movie and all it meant!! Wow, I always liked Jimmy Stewart and loved his voice. Glad to hear everything worked out okay, except for you meeting Stewart. I imagine that would have been quite the experience. I think it would have been a wonderful experience. However, having my kids was an even better experience! That certainly goes without saying!! My pleasure, Michael. He was an easy subject to post about!! Thank you for helping to spread this story. Stewart was loved by so many. A very serious and true story! Thank you for sharing this great man’s story. I had no idea! Another bit of history few people know! Thanks so much for sharing this along with the outstanding pics. Thank you for reading. I am so thrilled with the response to his careers! Once again I have learned something new from your blog. 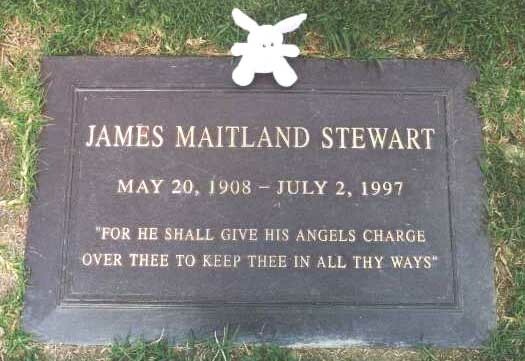 I had no idea that Jimmy Stewart suffered PSTD. I saw him once in London when he was starring in the stage play of Harvey. How lucky you were!! Besides getting to see him in person – Harvey was a great show!! I had no idea Jimmy Stewart was like this. Kudos to him for struggling through. We need a few more like him in Hollywood. Even if it’s just like Gary Sinese who supports soldiers. Correct. The “idols” kids have today leave a lot to be desired!! Thank you for helping to honor this wonderful man. Everyone loved him, but so few knew his life. Thank you. He was quite a man!